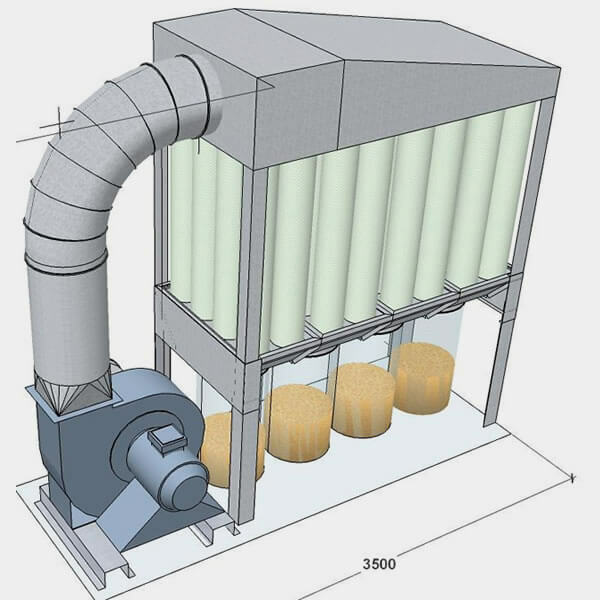 For the most powerful compact dust extraction systems on the market, there is no looking past the T-series dust collectors. 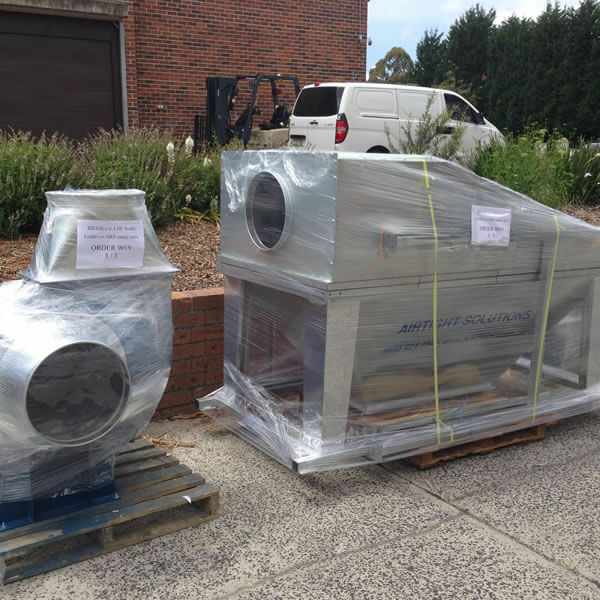 Their reputation and popularity is easily explained by their quiet yet powerful performance, which is relied upon by the timber, joinery and composite industries. 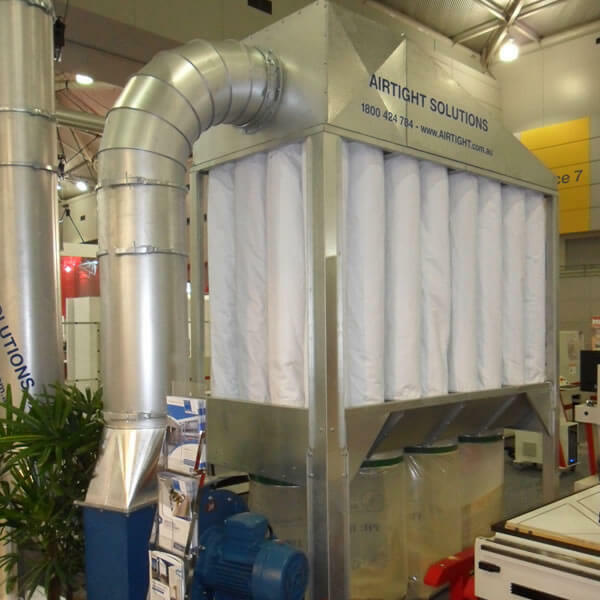 The T-Series is relied upon by major woodworking suppliers in Australia and New Zealand, which was demonstrated at AWISA by the usage of Airtight Solution filters for showroom filtration. 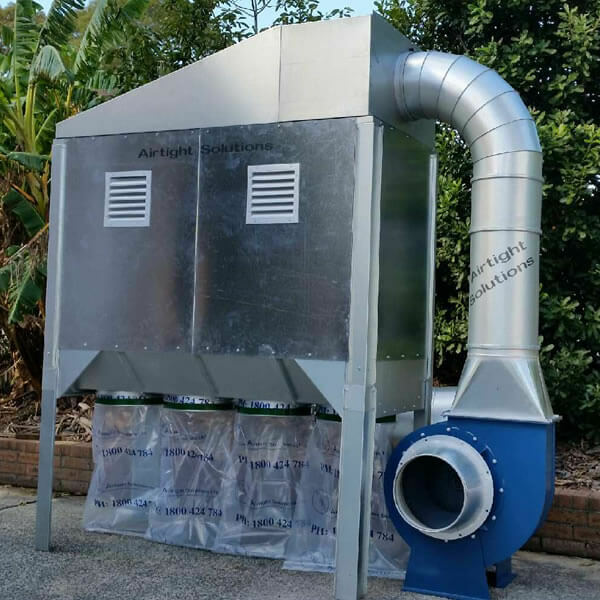 The system’s top entry design ensures the dusty air effortlessly flows through the baghouse to the collection area, with this downwards flow keeping the filter bags clean, the pressure low and the suction high. 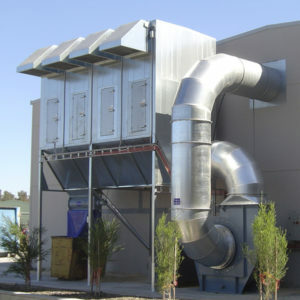 The T-1000 comes with a strong 11 or 15kW fan, which comprises of a 5mm thick steel casing coupled with a self-cleaning backwards inclined fan runner that ensures excellent performance and efficiency. 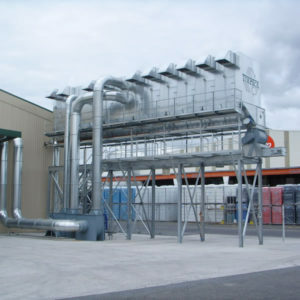 Depending on the dust type and dust loading, the T-1000 has a capacity of 10,000m3/hr. 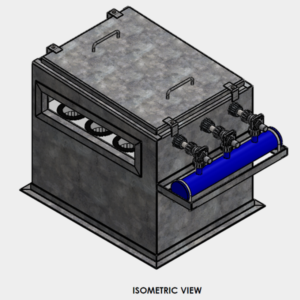 This equals the performance of 4-7 machines for a typical joinery/cabinetmaker application. 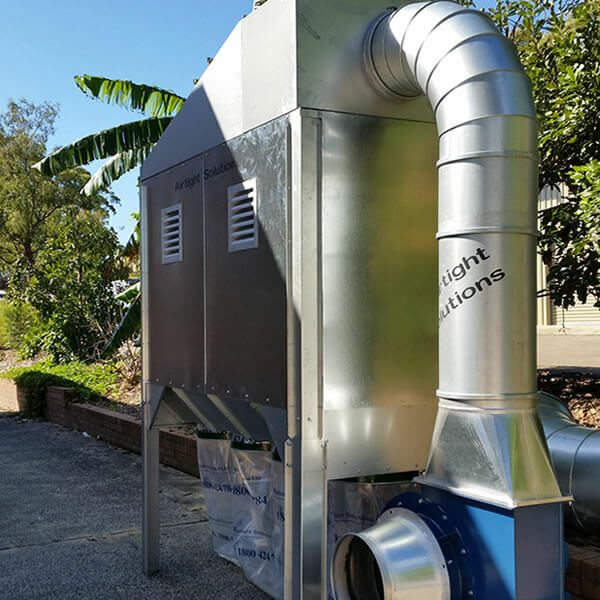 The motor size of the T-1000 is adjusted to meet your requirements, so contact your local Airtight Solutions offer to determine your needs. 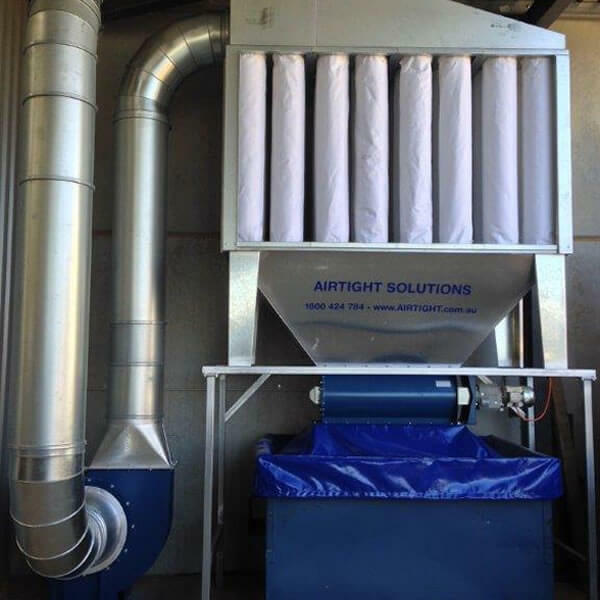 Contact Airtight Solutions for assistance with selecting the right dust collector for your needs. 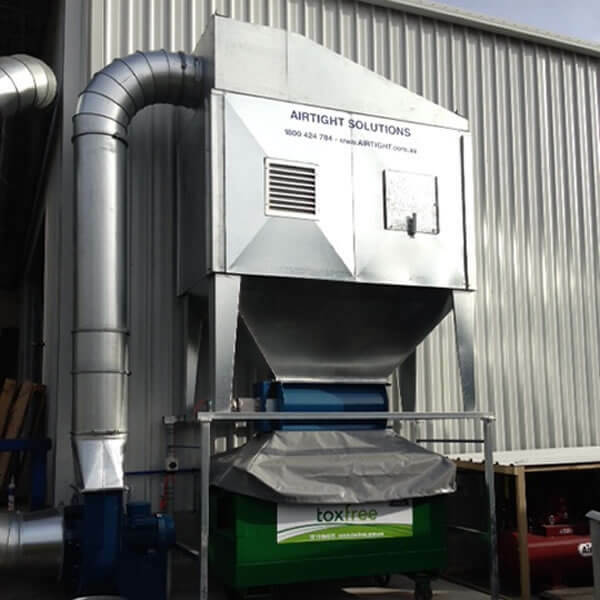 The T-Series dust collector systems are available in a variety of sizes from 2.2kW to 15kW systems with variable rotary valves and speed drives.